Just mix this instant papier mâché with water, then knead and model! 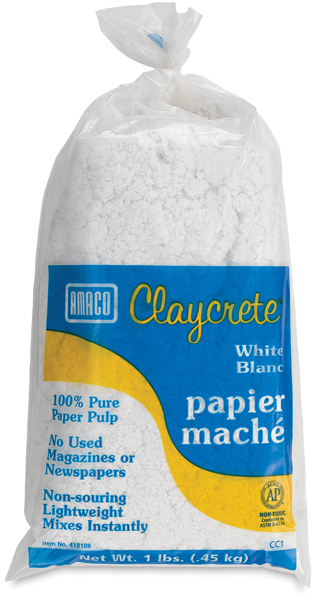 Amaco Claycrete Papier Mâché won't stick to hands or tools, making it exceptionally easy to work with — and easy to clean up, too. Claycrete dries pure white and is very lightweight. When completely dry, it can be painted and decorated. An economical choice for the classroom, it also works well with Amaco Wireform Mesh.